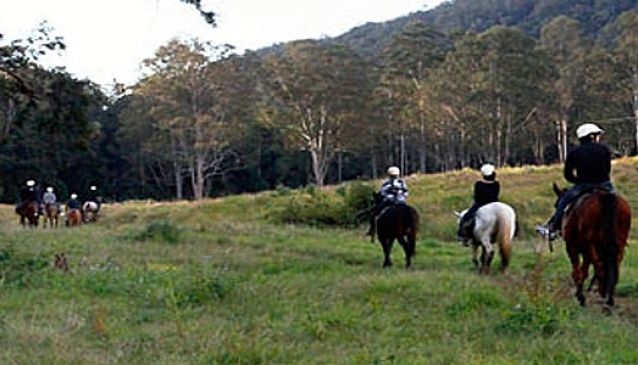 Saddle up, explore and enjoy the scenic Gold Coast Hinterland. There are many trails to follow on the 2,500 acre property, with unspoilt and breathtaking scenery in abundance. Numinbah Valley Adventure Trails caters for all ages and staff choose the horse that is just right for you with great care and experience. There are 3 scheduled rides seven days a week, Morning (8am) Midday (10.30) and Afternoon (1.30). Duration of the ride is 2 hours. For the younger guests there are also hay rides and for the romantic how about a moonlit ride? Long pants are a must as are enclosed shoes. Safety helmets are provided. There is a strict weight limit of 100kg.